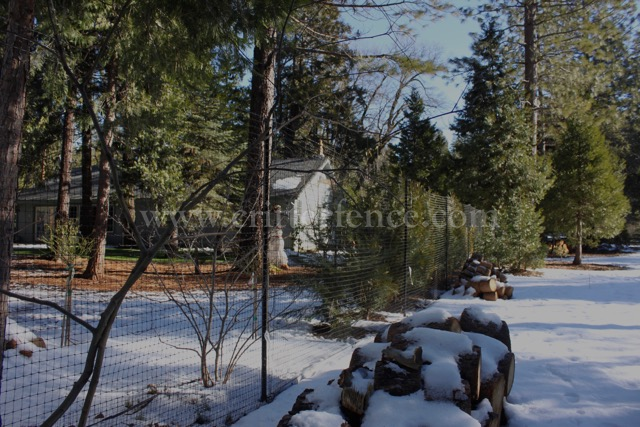 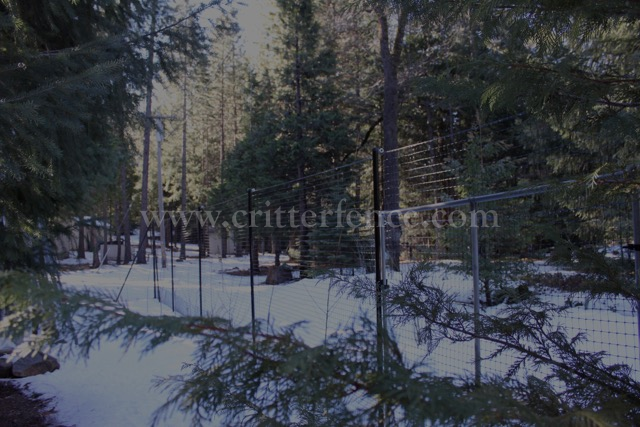 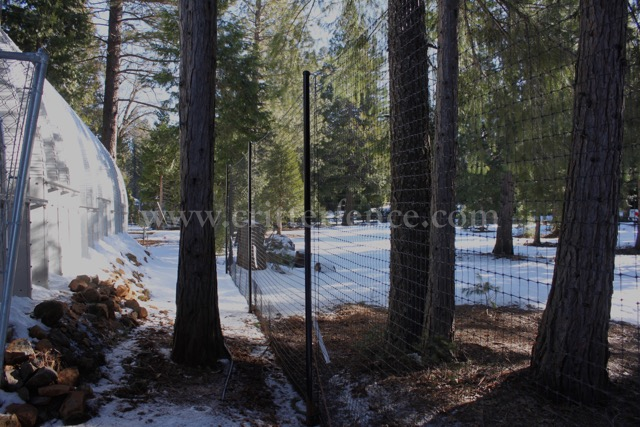 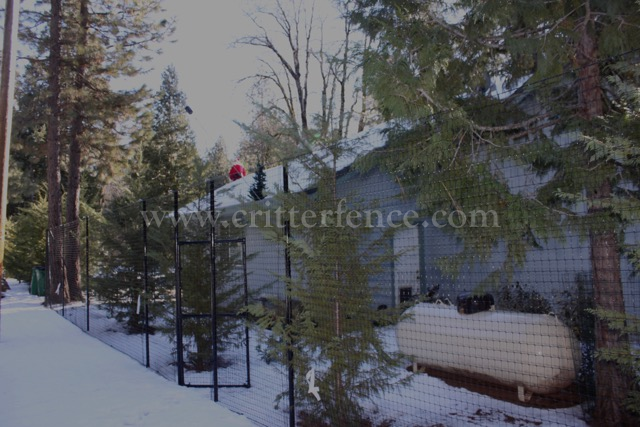 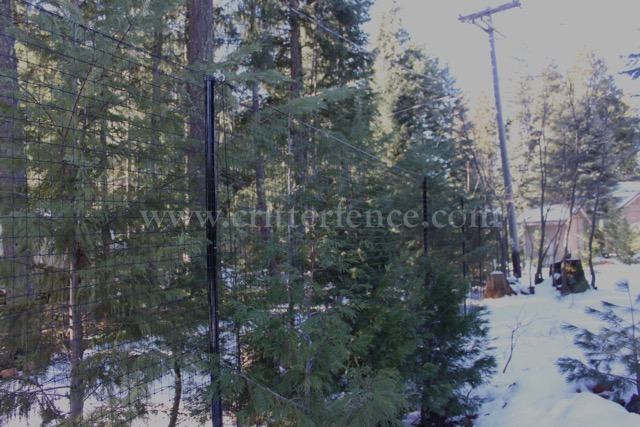 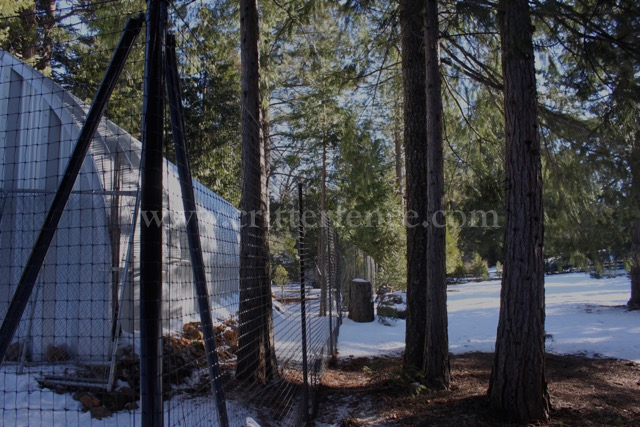 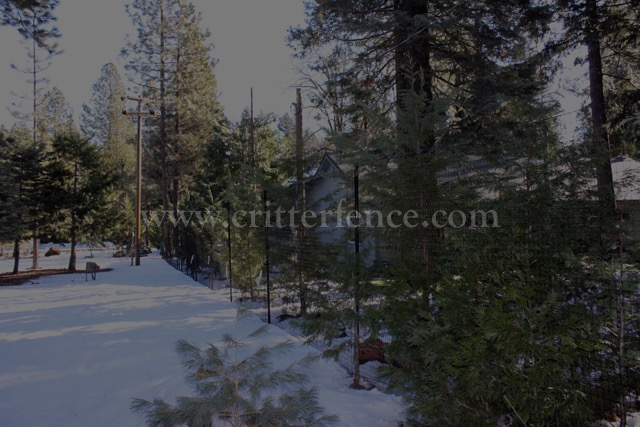 Thanks to Daniel from CA for sending in his 30+ photos of his self installed deer fence. 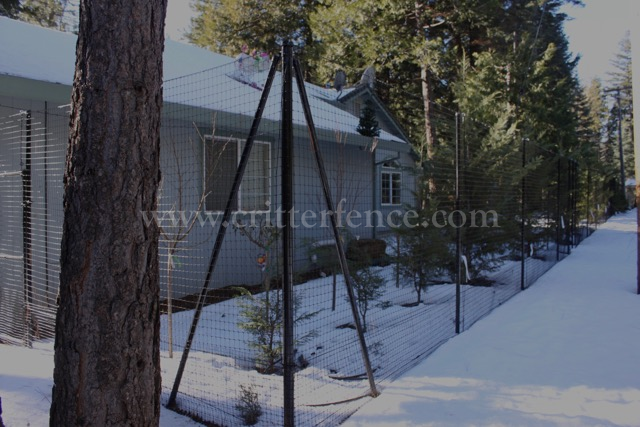 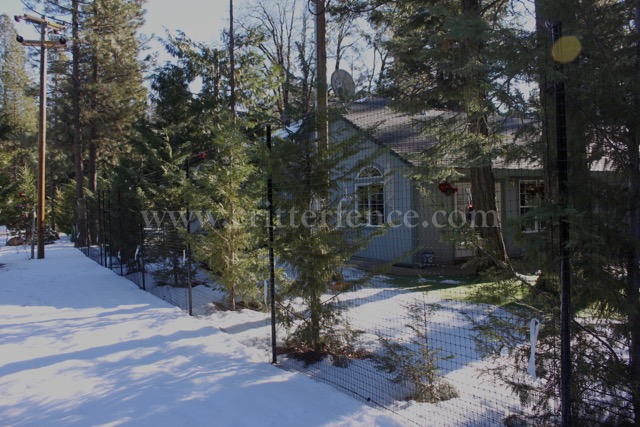 Daniel used multiples of fence kit XO17 (Critterfence 800 poly fence mesh paired with 2ft Steel Grid bottom wire) along with tensioning, corner posts, end posts and gates. 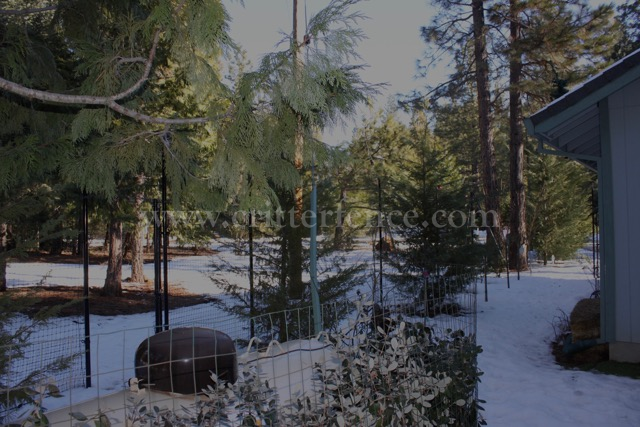 Sorry for sending you pics late, final completion was around Thanksgiving, weather was bad during installation, snowing excessively since October . 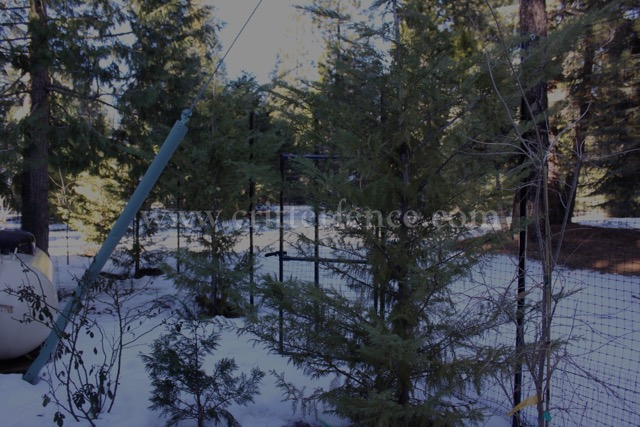 Your Knowledge was very accurate for the “ Do it yourself “ A humbling experience !! 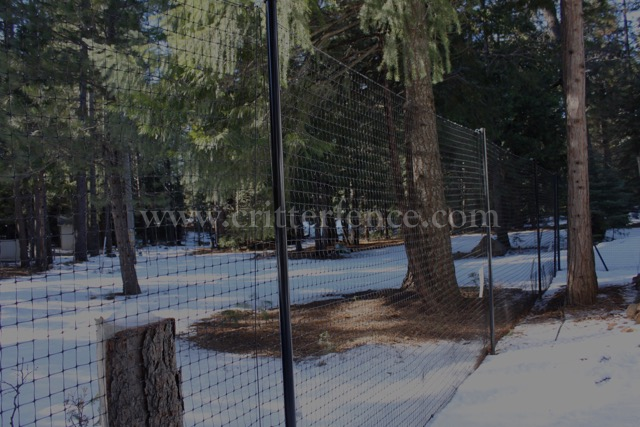 Your Product is well deserved out here.